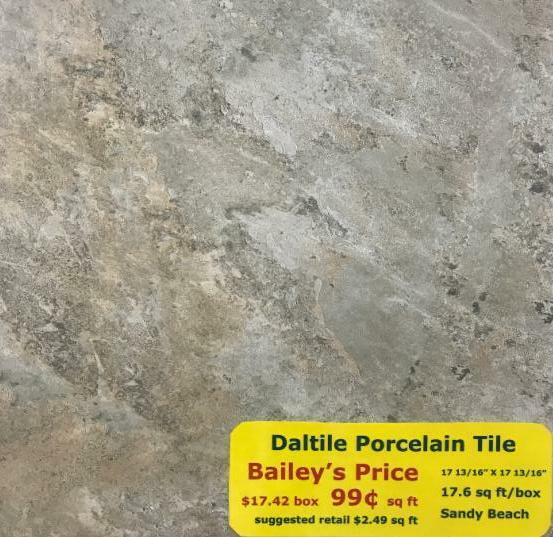 Beautify any bathroom, kitchen, laundry room, and more with this Daltile Porcelain Floor and Wall Tile. This tile is scratch-proof, stain-proof, and water-proof to ensure that it will withstand the high traffic areas in your home. These neutral tones are sure to refresh any room.